Blue View Inn... 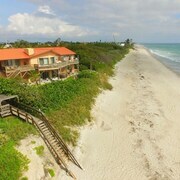 Private Oceanfront Property in Melbourne Beach!!! We enjoyed our stay. The inn is in a great location and in general everything was comfortable and uncomplicated! Where to find Melbourne Beach hotels near an airport? 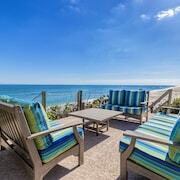 Where can I find hotels in Melbourne Beach that are near tourist attractions? There isn't a big range of Expedia-accredited accommodation options within easy driving distance of the heart of Melbourne Beach, so be sure to book early if you are thinking of staying in a centrally located Melbourne Beach hotel. The Port d'Hiver, Central East Coast Florida, which is the nearest accommodation, is 11 kilometres (7 miles) from downtown Melbourne Beach. 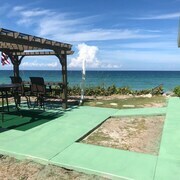 Another nearby option is the Disney's Vero Beach Resort, located in Central East Coast Florida, 25 kilometres (16 miles) from the middle of Melbourne Beach. The Radisson Suite Hotel Oceanfront is 19 kilometres (12 miles) away from the center of Melbourne Beach. Another option is the DoubleTree Suites by Hilton Melbourne Beach Oceanfront, which is situated 16 kilometres (10 miles) away. Two more accommodation options are the Crowne Plaza Hotel Melbourne - Oceanfront and the Hilton Melbourne Beach Oceanfront. Cape Canaveral is 50 kilometres (30 miles) to the north of Melbourne Beach and is home to the Port Canaveral and Cherie Down Park. 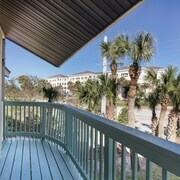 Cape Canaveral accommodation options are the Residence Inn by Marriott Cape Canaveral Cocoa Beach and The Inn at Cocoa Beach. 14 kilometres (9 miles) to the northwest of Melbourne Beach, you'll find Melbourne, home to the Residence Inn by Marriott Melbourne and Hilton Melbourne Rialto Place. If you're staying in Melbourne, a couple of sights worth adding to your itinerary are the Melbourne Square Mall and Brunswick Harbor Lanes. Just because you are traveling in Space Coast, doesn't mean you can't indulge in your love of sport. You will find Cocoa Expo Sports Center 50 kilometres (32 miles) to the northwest of Melbourne Beach. For visitors who are interested in booking a bed nearby, make a reservation in the Holiday Inn Express Hotel & Suites Cocoa or Best Western Cocoa Inn. Melbourne International Airport is a logical airport, and is located 18 kilometres (11 miles) from Melbourne Beach. Hotels that are nearby include Courtyard Melbourne West and Extended Stay America - Melbourne - Airport. What are the most popular Melbourne Beach hotels? Adorable Oceanfront Cottage - Step out Your Back Door to the Beach! Are there hotels in other cities near Melbourne Beach? 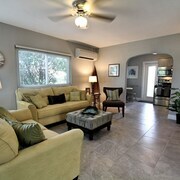 What other types of accommodations are available in Melbourne Beach? 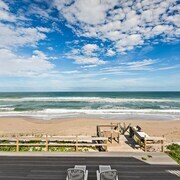 Explore Melbourne Beach with Expedia.ca’s Travel Guides to find the best flights, cars, holiday packages and more!